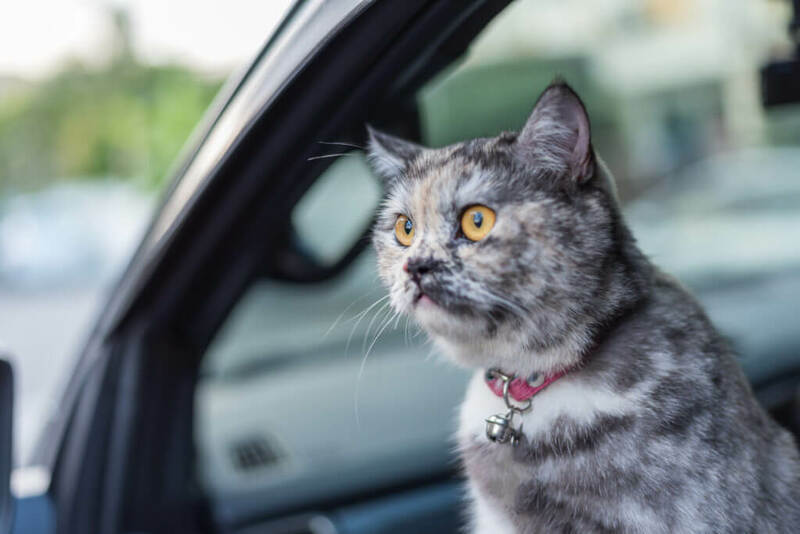 Home » Travel with a Cat in the Car – We Know the Best Tips on How to Make it Easier! Do you plan a long-distance journey but you own a cat? Are you worried that it will be too stressful for him to travel by car? We have two ideas about what can you do to make your journey possible. One is to hire a professional pet sitter who will take care of your cat while you are away. 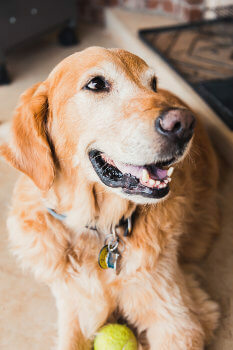 There are special on-line agencies where you can find trustworthy and well-checked pet sitters. If your cat prefers to stay in his safe and friendly environment, a pet-sitter will come to your house once or twice a day to feed the cat, to refresh the water, to play with him, to clean the litter box and…to cuddle him (of course only if your cat likes to be cuddled). Pet-sitter always updates the owners by sending photos and videos of a pet. The other solution is to travel with your cat if you prefer to take him with you or if the cat doesn’t feel comfortable around strangers. If you choose this option, you need to be aware, however, that cats aren’t the best travelers. They prefer to stay in a safe environment, they like routine and peace of the house. It means that you need to prepare them before the journey and take good care during the whole trip. We have experience in traveling with a cat and we prepared the essential tips and tricks to help you and your cat travel safely and nicely. We would like to start this article with the most popular way of traveling, which is by car. It is also the most convenient way of traveling with an animal. You can stop whenever and anywhere you want, which means that you will be less worried that your cat will vomit on the bus or on the train. We recommend you to travel by car if you plan to take your cat with you. But how to make it easier? Read more below. First and foremost, you need a solid and well-adjusted cat transporter. Remember to secure it with a seatbelt and to never let your cat run free in the car because it’s very dangerous for him in case of the car accident. Do not use a new carrier or transporter because the cat needs to feel safe inside it and familiarized with it before the trip. In order to help him with acclimatization, buy a transporter a few weeks before the journey and leave it open in the house. The cat will get a chance to get familiar with it at any time and it will help him to feel safe during the journey. 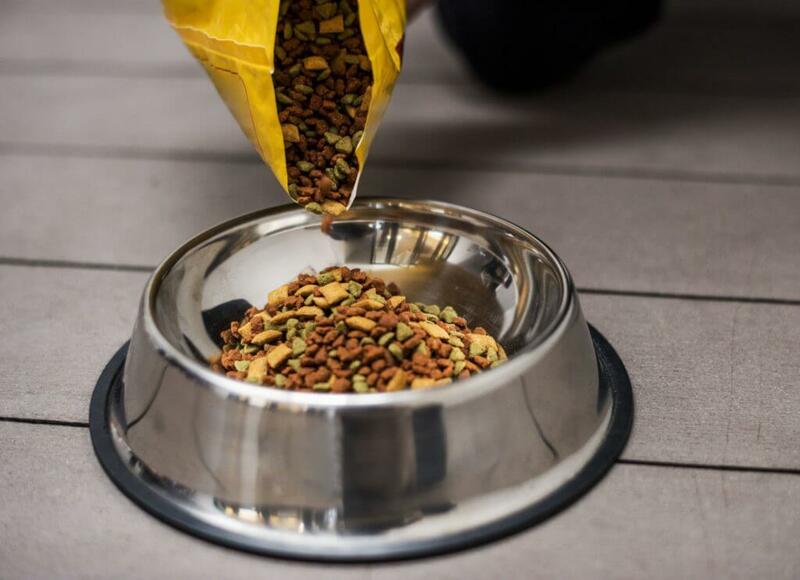 Leave inside the cat’s favorite treats, toys, and a soft blanket. It will help him to feel comfortable and cozy. Everything depends on the time of your journey. 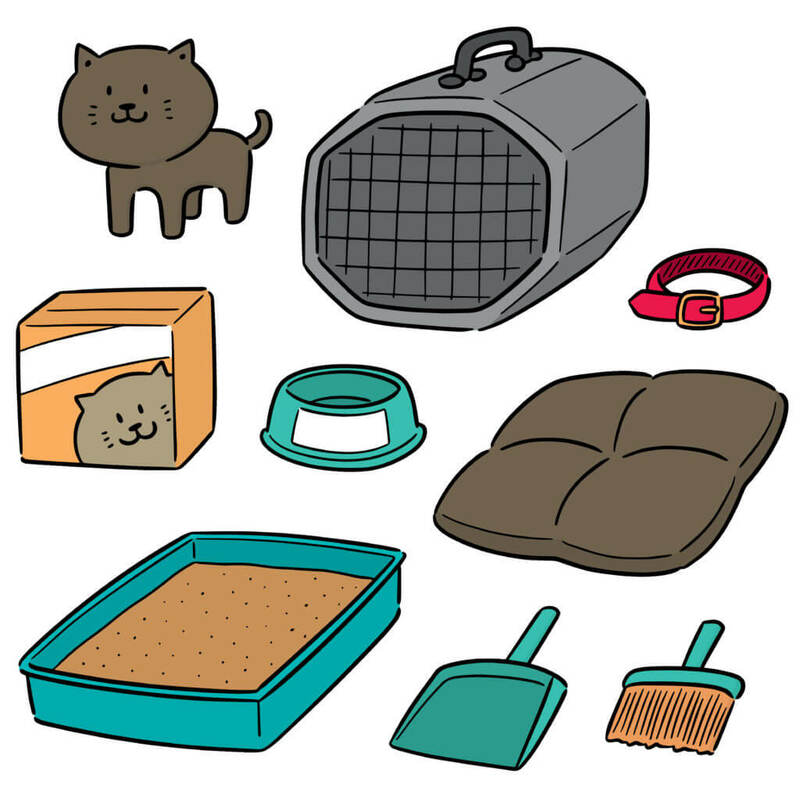 During the short trip, your cat probably won’t need a special stop in order to give him a chance to use a litter box. Do not feed your cat in the morning of the trip. Instead, give him the meal in the previous evening. However, if you travel for a longer period of time, remember to regularly park in a safe place and let your cat out of his transporter. Give him fresh water, food and take out the litter box every couple of hours. 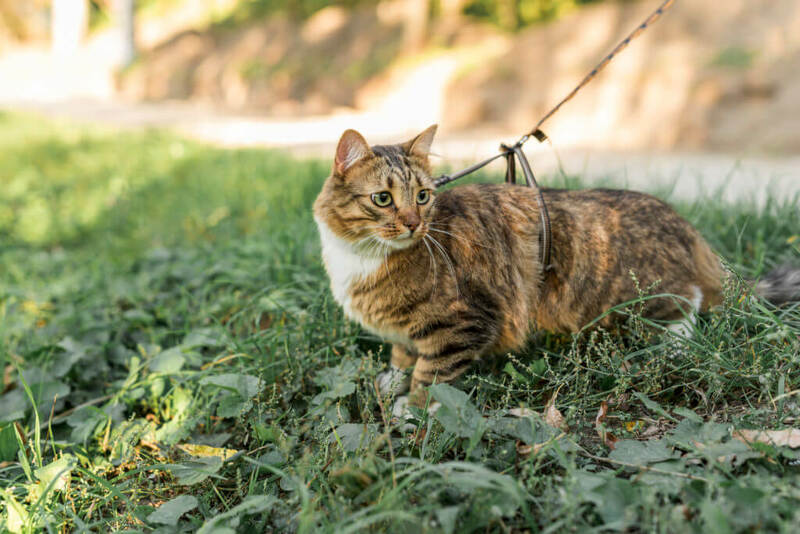 If you plan to stop during the trip to let your cat out of the transporter, buy a collar or a harness and the leash. When you open the carrier your cat can run away in panic and it’s very dangerous for him especially when you park in the highway. Always keep an eye on him and be careful. 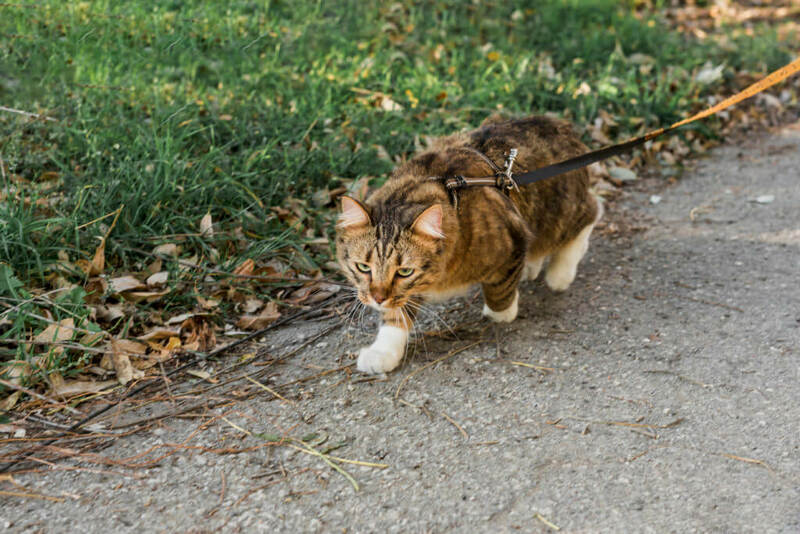 Make sure that you have attached an ID to the collar with your name, phone number, and address, just in case someone will find your cat who ran away. Also, think about microchipping which is a good way of identifying your cat by the veterinarian or workers in the animal shelter. 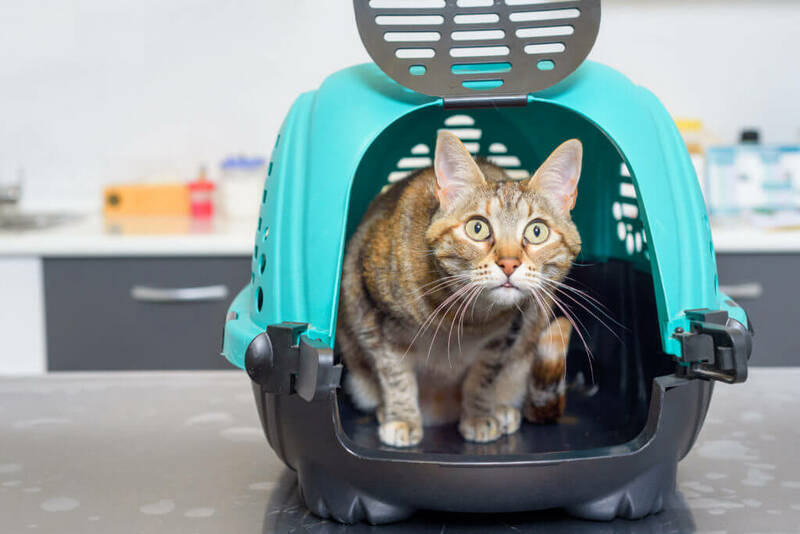 Even though you prepare your cat to travel and you follow our tips, it is still possible that feline will suffer from car sickness and will vomit in the transporter during the journey. He can also cry, defecate and drool. Why? Car sickness is caused mainly by anxiety, stress, and fear. If your cat spends all the time inside the house, it’s extremely stressful for him to be taken outside. He can also associate the vehicle with very unpleasant visits in the veterinarian clinic. 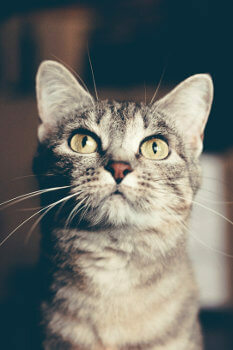 If your cat has suffered from the car sickness before, ask the vet for anti-vomiting medications to prevent it. Never give your cat medications without a consultation with a veterinarian. The vet can also prescribe a tranquilizer. 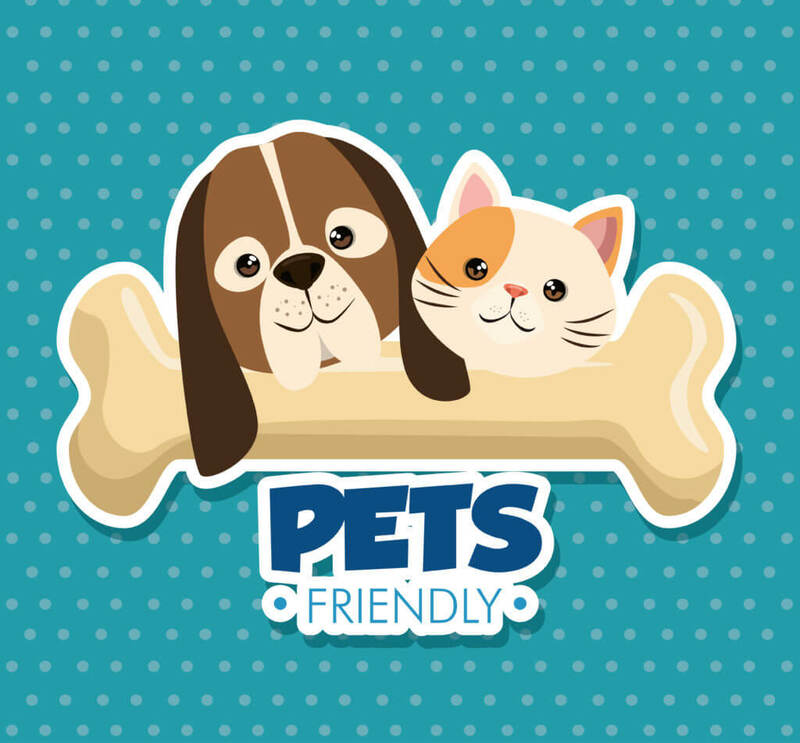 If you plan to stay in a hotel always look for pet-friendly places. Don’t try to hide your cat if the place where you planned to stay doesn’t allow pets. 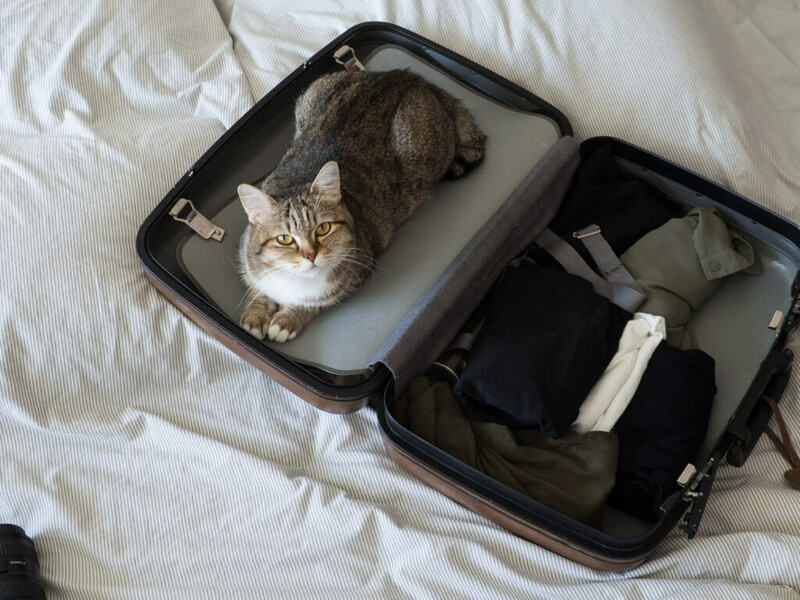 Make research and reservations before the journey to prevent stressful situations when you are forced to look for a cat-friendly hotel in a hurry. Having a good plan and preparation is always a good idea especially when you travel with a pet. Traveling with a cat can be challenging but if you prepare well in advance, it won’t be so difficult. Follow our tips, consult it with your vet and stay calm and relaxed. Your cat needs your patience and peace more than anything. If you decide, however, that you prefer to hire a professional pet-sitter, remember to always get references from the previous clients. You want to be sure that your cat is safe and treated with kindness while you are away. Also, you can ask a pet-sitter for a pre-meeting to check how your cat behaves around him or her and to talk about your expectations. We wish you and your cat a safe journey!